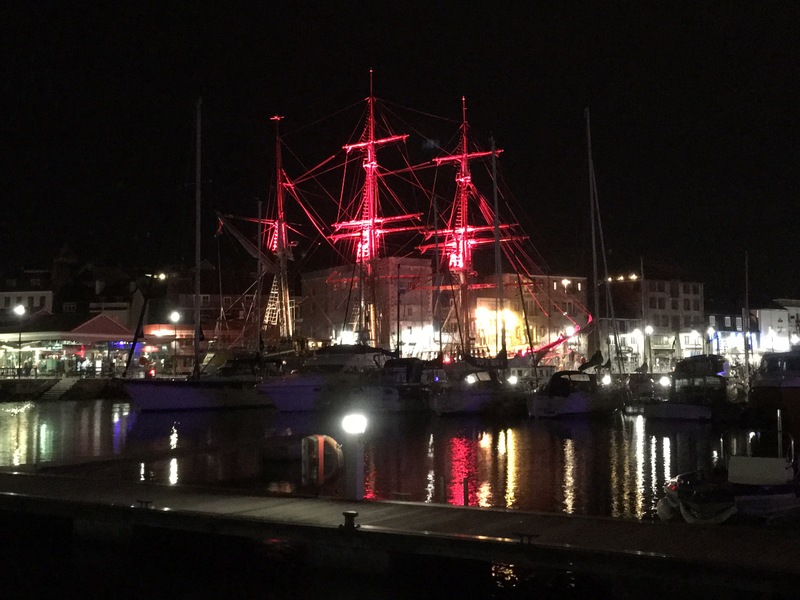 This is midnight in Sutton Marina, surrounded by the historic buildings that make up Plymouth’s Barbican, which are mostly bars, cafes, pubs and restaurants. Every night we have live singing wafting across the water from one of the outside bars and this can be accompanied by the sounds of fishing boats unloading from the fish quay about 100 metres away. All added to by the gentle creaking of mooring ropes, the wind in the rigging, fishing boats arriving and leaving and the general hubbub of the Barbican’s busy night life. For a light sleeper, this could be a challenging place to be… Good job we’re all too knackered to care!